Transfer students are an important part of the LuHi community and are treated as such - getting the chance to pursue their passion, honor God and serve the community. The relational culture at Lutheran High School is the perfect setting to make new friends and learn (and love) a new community. Why not be at a school that is invested in seeing you thrive? It's never too late for a change. Please contact Hannah Buchholz, Director of Admissions, at Hannah.Buchholz@lhsparker.org for more information. 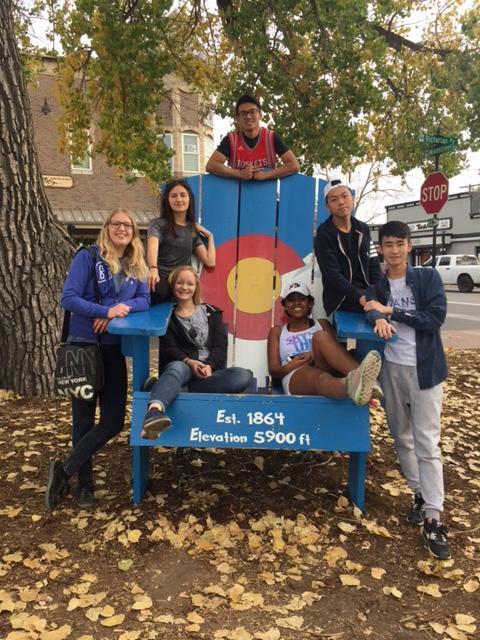 Lutheran High School desires to become the premier private high school for international students in the state of Colorado. The 2017-2018 school year will see the continuation of ESL classes, and additional programs will be added to specifically help and aid our international students. Lutheran High School uses trusted agencies to screen its international applicants and guide students through the application process. If you desire to attend Lutheran High School and are not currently working with one our trusted agencies, please contact Hannah Buchholz at hannah.buchholz@lhsparker.org so she can direct you to a trusted agency. We do accept international student transfers from other high schools. Please see the process below. We look forward to serving you! 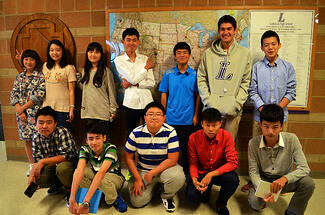 Lutheran High School strives to provide excellence in academic guidance for international students. Each student receives individual attention to help assemble an academically appropriate schedule of classes that are aimed at developing gifts and talents. The College Guidance Department at Lutheran High School also works with each student to ensure that an appropriate pace is kept for both high school graduation and college readiness. The entire school is dedicated to making sure each international student has an amazing experience at Lutheran High School. To read a list of frequently asked questions by international families, click here. Lutheran High School does not set up or provide homestays for families. Please contact your agency to arrange a homestay. The annual tuition for international students with an I-20 is $17,000. This includes application and materials fees. Tuition payments need to be arranged through Randy Gager in our business office by calling 303-934-8611 or emailing randy.gager@lhsparker.org. Tuition can be paid monthly over 11 months ($1545 a month, July through May), monthly over 10 months ($1700 a month, August through May), by semester ($8500 due by the beginning of each semester), or annually ($17,000 due prior to the start of the school year). If an international student withdraws or is expelled, tuition is still due for the semester that he/she withdraws. Second semester tuition will be refunded if necessary. All new International Students are required to attend an Orientation Day a week before school starts. The date of the Orientation Day will be announced in March. Jan Hoener, the International Student Coordinator, will also set up special times for students to carpool to various stores to purchase school supplies and explorer Parker. All students are required to be on campus for Finals weeks at the end of each semester. If you are already attending school within the United States and choose to arrange your own homestay, then please proceed with the following steps. These are also generally the steps taken both by the school and agencies. Complete an online application for student enrollment by clicking here. A non-refundable $50 application fee is due and payable through the application site. If unable to pay online, a check or money order for $50 may be made out to "Lutheran High School" and mailed to 11249 Newlin Gulch Blvd., Parker, CO 80134. Download the International Student I-20 Worksheet by clicking here. This form should be faxed to 720-842-1015 or mailed to Lutheran High School, 11249 Newlin Gulch Blvd., Parker, CO 80134. With the above items completed, Lutheran High School will process the student application. Upon receiving the I-20, the student will present needed documentation and the I-20 to his/her home embassy. If the embassy issues the visa, the student is free to travel to the United States and attend school. Having gone to both [a local public school] and Lutheran, I realized that LuHi has more teachers wanting students to do well. At my old high school, there were too many kids for teachers to actually get to know you and develop a relationship with you. It was hard for them to help students individually and push them to do their best.